Middle ear infections are common, especially among small children. Some people seem to have an affinity for developing frequent ear infections, which may be referred to as recurrent ear infections or chronic ear infections. In order to understand the link between allergies and ear infections, it is first necessary to understand what causes middle ear infections and auditory tube dysfunction in the first place. The auditory tube is a small tube that leads from the middle ear into the back of the throat. It opens and closes in order to regulate the environment in the middle ear space. The auditory tube in children is naturally smaller and more horizontal than it is in adults. When the auditory tube becomes impaired for any reason and is unable to function properly the middle ear may be cut off from air, become filled with mucus, or other fluid and bacteria and germs may become trapped in an environment that is perfect for them to thrive and multiply. Conditions that may cause the auditory tube to become impaired, (called auditory tube dysfunction), include (but are not limited to) congestion and inflammation. The auditory tube is more likely to become blocked in small children because it is naturally smaller in diameter. It may also be more difficult for fluid and other debris to properly drain from the auditory tube in small children because the auditory tube sits at a more horizontal angle than it does in adults. Middle ear infections are often precipitated by a virus that causes colds but may also occur when allergies cause congestion and inflammation in the nasal passageways, sinuses and especially the auditory tube. This can occur regardless of the type of allergy an individual and can even occur with food allergies. So now that you understand how uncontrolled allergies can contribute to frequent ear infections what should you do about it? The first step is to be tested for allergies. Your family doctor or pediatrician can run allergy tests but you may be better off seeing a physician who specializes in allergies, called an immunologist, or a doctor who specializes in disorders of the ear, nose, and throat (an ENT or otolaryngologist). 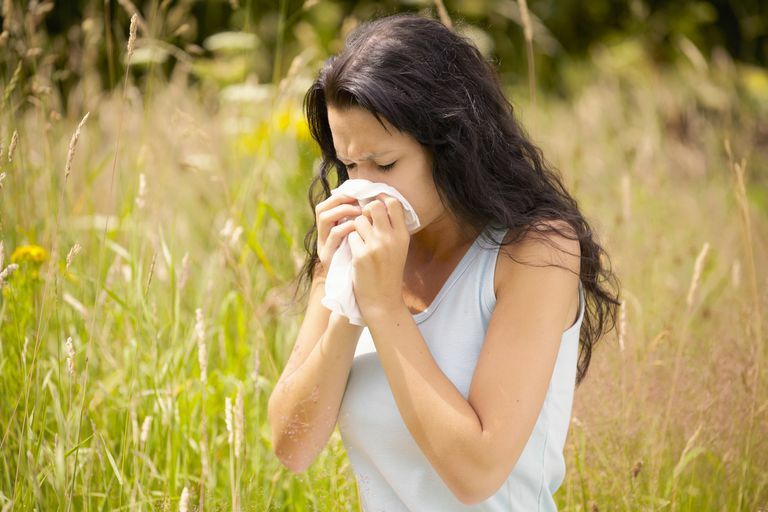 If allergies are determined to be present there are several types of treatment your doctor may recommend. Avoiding the thing you are allergic to is the first line of defense, especially if it is a food allergy. If you are allergic to something like pollen or dust this may be easier said than done, however, and your doctor may recommend medications to treat your symptoms. One of the most common treatments is the administration of a daily antihistamine. Newer antihistamines which are not likely to cause drowsiness are often prescribed, these include Zyrtec, Claritin, or Allegra. Sometimes nasal sprays such as Xtoro, Flonase, or Nasacort are prescribed to reduce congestion. If you are currently suffering from an ear infection it may also be necessary to complete a course of antibiotics to kill the bacteria that is present in the ear. It is important to take antibiotics exactly as prescribed in order to prevent antibiotic resistance. If you are receiving treatment for your allergies and are still suffering from frequent ear infections your doctor may recommend the surgical placement of ventilation tubes to help your auditory tube to stay open. Center for Food Allergies. Ear Infections (and Dairy Allergies). http://www.centerforfoodallergies.com/ear_infections.htm. Science News. Allergy Linked to Common Ear Infection Susceptibility. http://www.sciencedaily.com/releases/1998/09/980916073926.htm. University of Maryland Medical Center. Ear Infections. http://umm.edu/health/medical/reports/articles/ear-infections. Why Does My Child Keep Getting Ear Infections? What Causes a Ruptured Ear Drum?